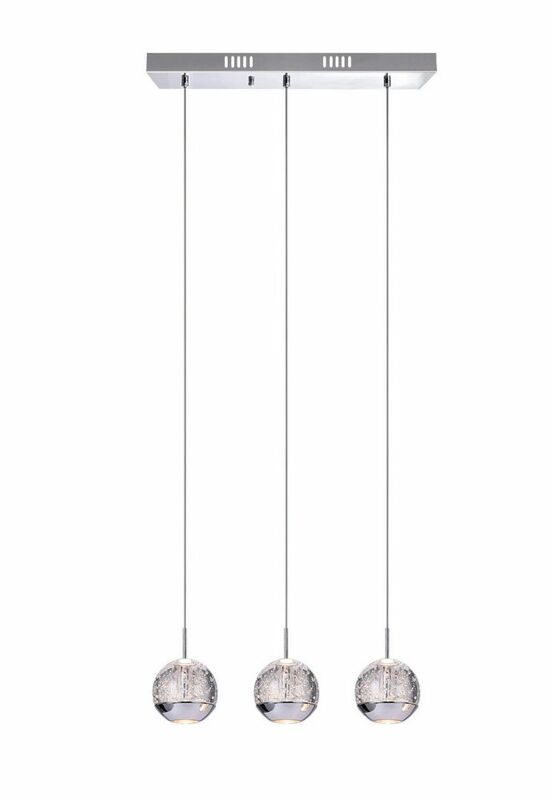 3 Light Chandelier With Chrome Rectangle Base is rated 1.0 out of 5 by 1. Rated 1 out of 5 by NOYB from Don't buy this chandelier Do not buy this chandelier if you are expecting to get what is pictured! I received it and it was 3 hanging globes on a rectangular base. The picture has 13 globes, I would love to know how this light was installed. This is described as a 3 light chandelier, but there are 13 globes. Is the photo accurate or are only select globes lit up?